Over the summer, thousands of people flocked to festivals to enjoy the music, to dance, drink and – despite all the warnings – take drugs. The festival season started sadly in May with the death of two young adults at the Mutiny dance music festival in Portsmouth. Following an alert about the availability of dangerous drugs at the site, the council cancelled a nearby family-friendly event, Live at The Bandstand, amid fears of further harm. Deaths at festivals are not uncommon, but knowing more about what people are using – and what the risks might be – is crucial to protect them from harm. What drugs are being taken? It is thought that the rates of drug use are higher among clubbers and festival-goers than the population as a whole. The majority of people at festivals are under the age of 35. Drug use figures from the European Monitoring Centre for Drugs and Drug Addiction (EMCDDA) suggest that cannabis is the most common drug and was used by 12% of 15–34-year-olds in the UK in 2017. Cocaine was used by 4%, ecstasy by 3% and ketamine and amphetamines by 1%. A Freedom of Information request for drug seizures at the Glastonbury Festival between 2014–2016 showed a rise in the amount of cocaine, ecstasy/MDMA and ketamine confiscated by police. There has been a recent rise in deaths attributed to club drugs, notably ecstasy and cocaine. Deaths in England and Wales linked to ecstasy pills reached their highest level in 2016 at 63 (up from 10 in 2010). The number of cocaine-related deaths also rose in 2017 reaching 432: this is the highest amount ever recorded. Earlier this year, security minister Ben Wallace warned that the UK was fast becoming the biggest consumer of cocaine in Europe. The worry is that the number of people using drugs such as cocaine and ecstasy has remained largely stable, suggesting that the rise in deaths and hospital admissions is not down to more drugs being used. Instead, it is blamed on a dramatic rise in drug purity and strength. The active ingredient in ecstasy pills, for example, is MDMA. In the 2000s, a pill would contain between 50–80 mg. Pills in Europe now contain an average of about 125 mg. Super strength pills containing over 270 mg have also been seen on the market. Another worrying development is the emergence of new psychoactive substances (NPS) designed to mimic the effects of traditional drugs. By 2015 the EMCDDA was actively monitoring more than 450 substances. Often, these NPS are intentionally mis-sold to unwitting customers because they have the same appearance as traditional drugs. Some UK music festivals invited drugs campaign group The Loop to perform forensic testing of drugs at their events, and more than 8000 people came forward to have their drugs tested. These drug testing services are all performed anonymously. The Loop then issues alerts via social media about potentially dangerous adulterated or high-strength drugs they have identified. When accepting this service at a number of events last year, about 20% of people decided not to take their drugs after hearing the results. The 4-day music festival, Bestival, said that although it strongly advised festival-goers to avoid taking any illegal substances, it would allow testing by The Loop to give people the opportunity to make informed choices. The main drugs checked by The Loop were MDMA, ketamine and cocaine. The non-profit organisation also detected a growing use of N-ethyl Pentylone, which was increasingly mis-sold as MDMA and could lead to psychosis or up to 3 days of insomnia. Drugs were found that were four-times stronger than normal or that were mixed with anti-malaria tablets and plaster. “About half [of people having drugs checked] say that they will take smaller quantities after speaking to our healthcare professionals about strength and dosage”, said Guy Jones, senior chemist for The Loop. He added that one-in-10 festival-goers handed over more substances for disposal by the police after having drugs tested. The Loop aims to attend more festivals in 2019. It is currently compiling the information it gets from festivals for research it plans to present to the Home Office. 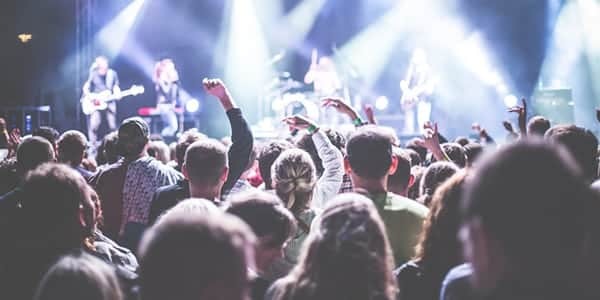 However, not every festival will allow The Loop onsite to perform drug tests and not everyone is convinced drug testing is the right thing to do. The Home Office has said no drug taking can be assumed to be safe. The founder of The Loop, Fiona Measham, said: “It’s a fine balance between letting people know what is out there and not being seen to encourage drug use”. For expert advice on drug testing solutions, please call AlphaBiolabs on 0333 600 1300 or email us at info@alphabiolabs.com.